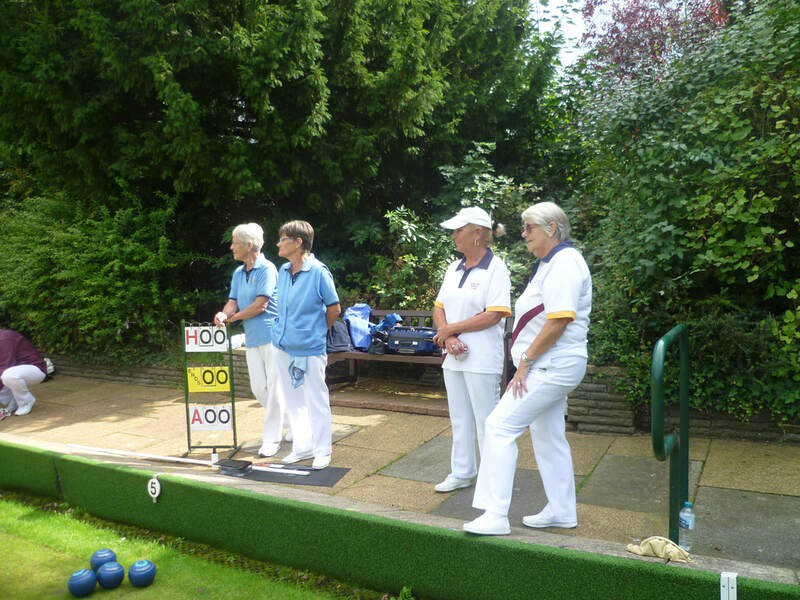 ​The Knockout Competition Finals took place at Haynes Park Bowls Club on Friday 31st August. 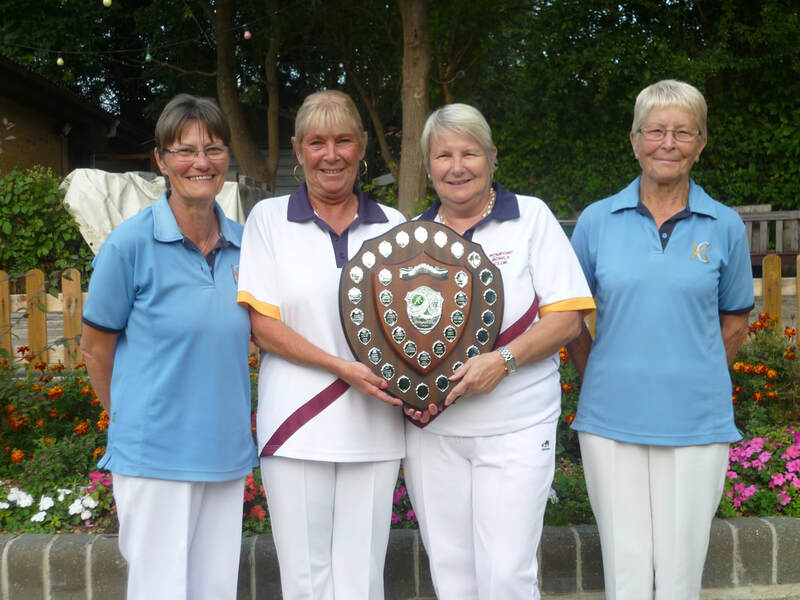 ​The pairs competition was fought out between Dot Pope and Pat Powder of Romford and last years runners up, Ann Sutton and Maureen Payne of Kings Chase. Ann and Maureen could not improve on last years position with Dot and Pat taking the title 22-10 after 20 ends. 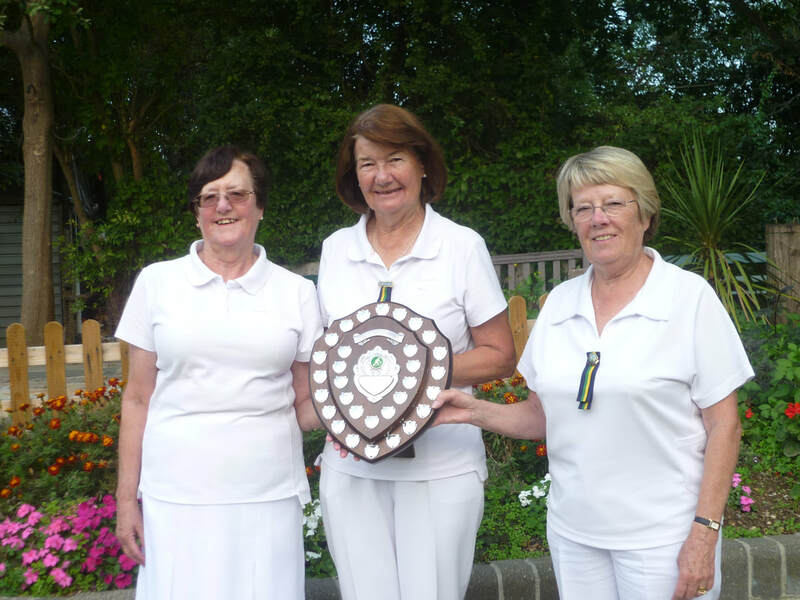 Pairs finalists Ann Sutton, Dot Pope, Pat Powder and Maureen Payne. 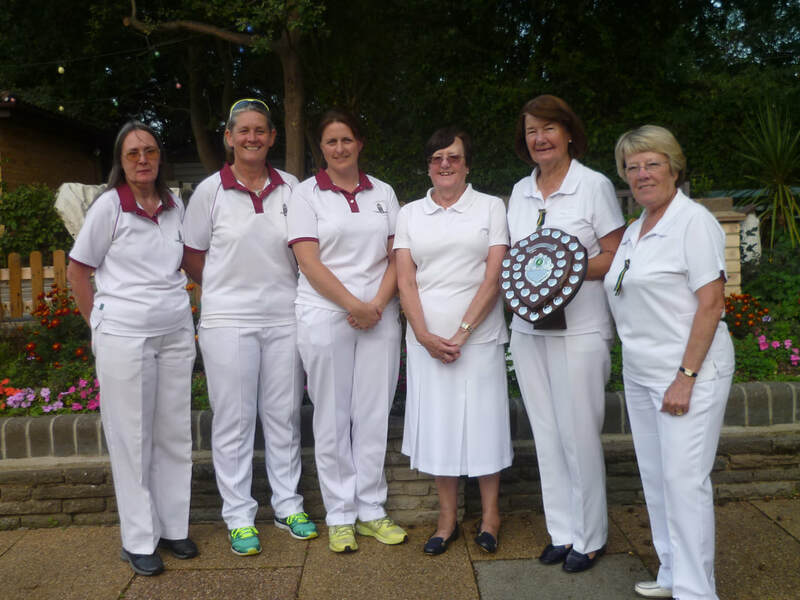 The triples competition saw Jean Palmer, Sue Harrington and Jenny Paternoster of Ingatestone taking on Rebecca Smith, Michelle Carlin and Margaret Tinton of Clockhouse. 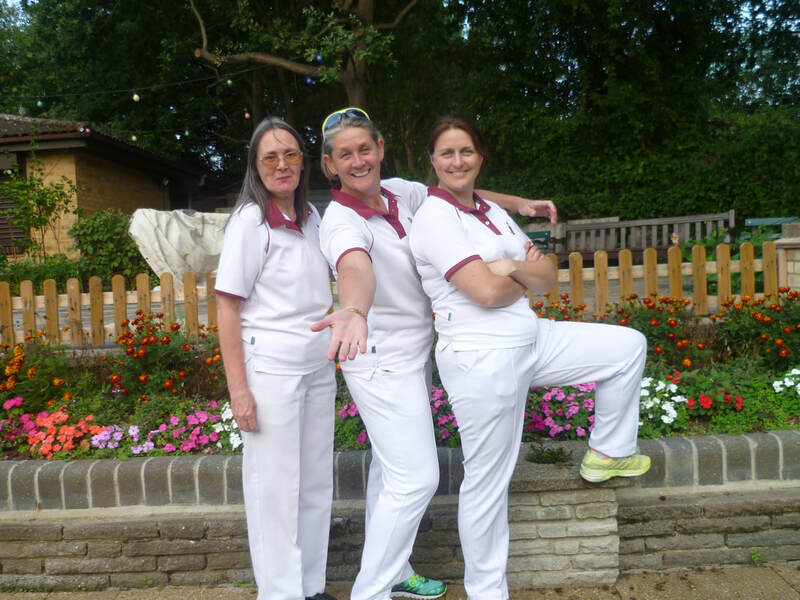 After a slow start, Clockhouse fought back to lead after 10 ends, but a 6 end winning streak by Ingatestone was enough to hold off a late rally, with Jean, Sue and Jenny taking the title 18-15. Jenny Paternoster, Jean Palmer and Sue Harrington.